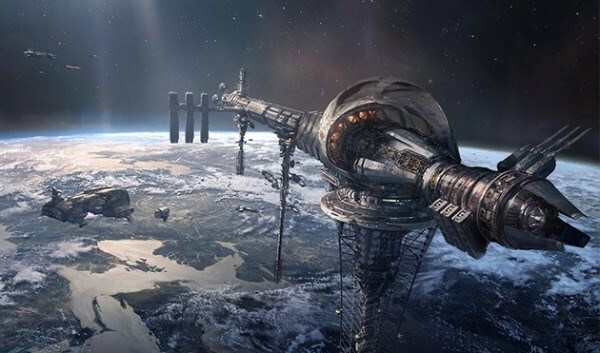 The Future of Space: Building A Space Elevator! Regularly scheduled trips to the Moon are one of many things science fiction promised us by the 21st century that did not immediately materialize. However, ideas are on the drawing board for making it happen in the coming decades. They include regular rocket trips, like those suggested by Golden Spike, but others have more ambitious plans. For example, there’s LiftPort – a company that hopes to build a space elevator straight to the Moon. When he was working with NASA’s Institute for Advanced Concepts in the early 2000s, LiftPort President Michael Laine began exploring the idea of a mechanism that could get people and cargo to space while remaining tethered to Earth. And he is certainly not alone in exploring the potential, considering the potential cost-cutting measures it offers. The concept is pretty straightforward and well-explored within the realm of science fiction, at least in theory. 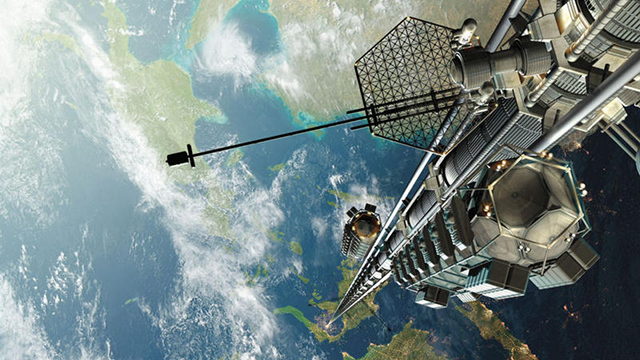 The space elevator concept is similar to swinging a ball on a string, except it involves a tether anchored to the Earth that’s about 500 km long. The other end is in anchored in orbit, attached to a space station that keeps the tether taut. Anything that needs to be launched into space can simply be fired up the tether by a series of rocket-powered cars, which then dock with the station and then launched aboard a space-faring vessel. Compared to using rockets to send everything into space, the cost using the elevator is far less (minus the one-time astronomical construction fee). And while the materials do not yet exist to construct 0ne, suggestions have been floated for a Lunar Elevator. 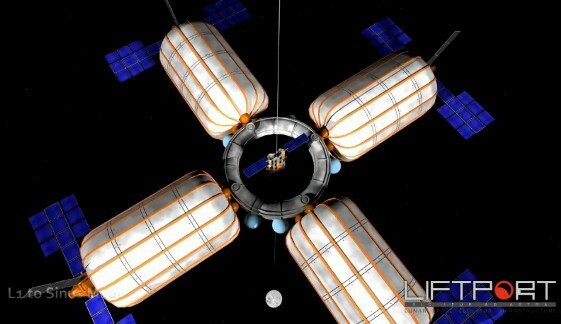 Taking advantage of the Moon’s lower gravity, and using the Earth’s gravity well to stabilize the orbital anchor, this type of elevator could be built using existing materials. One such person is Laine, who believes the capability exists to build an elevator that would reach from to the Moon to a distance of 238,000 km towards the Earth. Hence why, started two and a half years ago, he struck out to try and bring this idea to reality. 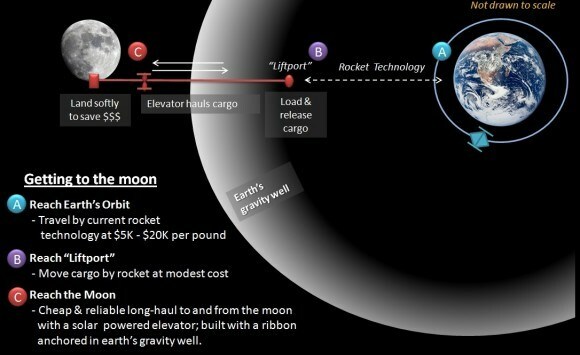 The concept behind the Moon Elevator is still consistent with the ball on the string analogy, but it is a little more complicated because of the Moon’s slow orbit around the Earth. The solution lies in Lagrangian points, which are places of gravitational equilibrium between two bodies. It’s here that the gravitational pull of both bodies are equal, and so they cancel each other out. Lagrangian point L1 is about 55,000 kilometers from the Moon, and that’s the one Laine hopes to take advantage of. After anchoring one end of the “string” on the Moon’s surface, it will extend to L1, then from L1 towards Earth. At the end of the string will be a counterweight made up of all the spent pieces of rocket that launched the initial mission to get the spike into the Moon. The counterweight will be in the right place for the Earth to pull on it gravitationally, but it will be anchored, through the Lagrange point, to the Moon. The force on both halves of the “string” will keep it taut. And that taut string will be a space elevator to the Moon. 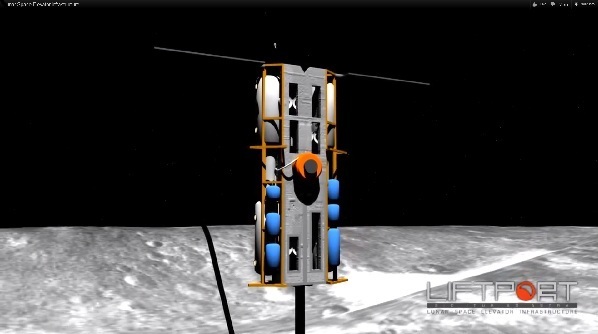 What’s more, Laine claims that the Moon elevator can be built off-the-shelf, with readily available technology. A prototype could be built and deployed within a decade for as little as $800 million, he claims. It would be a small version exerting just a few pounds of force on the anchor on the Moon, but it would lay the groundwork for larger follow-up systems that could transport more cargo and eventually astronauts. To demonstrate their concept, LiftPort is working on a proof-of-concept demonstration that will see a robot climb the tallest free­standing human structure in existence. This will consist of three large helium balloons held together on a tripod and a giant spool of Vectran fiber that is just an eighth of an inch think, but will be able to support 635 kilograms (1,400 pounds) and withstand strong winds. Vectran is the same material was used by NASA to create the airbags that allowed the Spirit and Opportunity’s rovers to land on Mars. Since it gets stronger as it gets colder, it is ideal for this high altitude test, which will be LiftPort’s 15th experiment and the 20th robot to attempt an ascent. Laine doesn’t have a prospective date for when this test will happen, but insists it will take place once the company is ready. Regardless, when the test is conducted, it will be the subject of a new documentary by Ben Harrison. Having learned about Liftport back in 2012 when he stumbled across their Kickstarter campaign, Harrison donated to the project and did a brief film segment about it for Engadget. Since that time, he has been filming Liftport’s ongoing story as part of a proposed documentary. It would be awesome, and make some truly awesome things possible. For example, we could finally deploy enough space-based solar power arrays to provide for ALL our energy needs. Wouldn’t that be awesome? It would. I love that once the initial expenditure is done, then space travel gets cheap and easy. That’s also a challenge to making it. Basically, the cost of sending things up into space needs to drop to make building this cost-of-sending-things-into-space-cutting invention feasible. Luckily, we’re doing just that with reusable rockets and launch vehicles. It all works out in the end!